UK TV SPOT: 30 second TV spot, aired over multiple channels. MULTIPLE ENDINGS: For YouTube we filmed 3 alternative endings for the viewer to choose and asked : Can you pick the right ending and save Red? 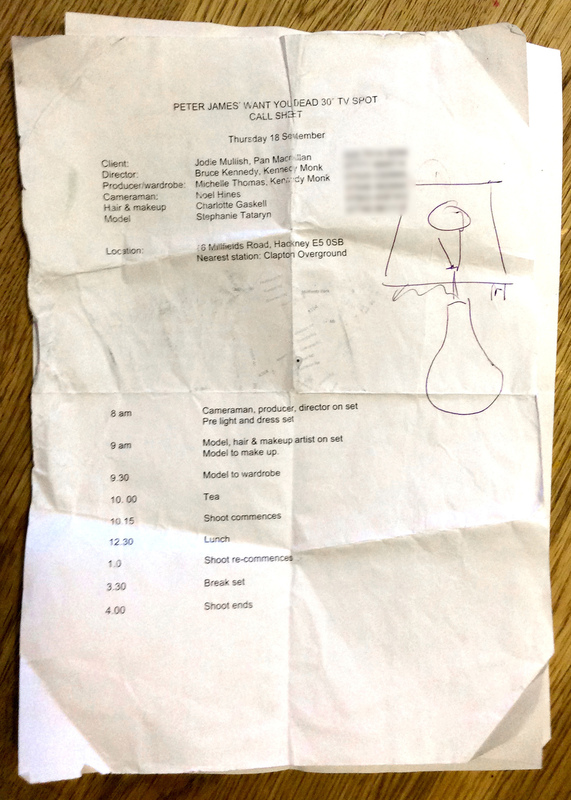 Original call-sheet for video shoot.